Disclosure: Megan at Housewife On A Mission received the following items mentioned in this post from Butter Braid® pastries to facilitate her review. She also received monetary compensation for this post. All opinions are her own and were not influenced. We have a sweet and delicious giveaway for our readers, that we KNOW you are all going to love!! Have you ever heard of Butter Braid®? I truthfully had not up until recently, and boy am I glad I was introduced to them! They have mouth watering pastries that are perfect for either dessert or to enjoy in the morning for breakfast. You are only able to purchase Butter Braid® pastries through a fundraiser, so you have to find a local dealer or you could even become a dealer yourself. Butter Braid® pastries are made in small town of Iowa, and hand braided with love and care! Butter Braid® is exclusive to fundraising and they only use quality ingredients, which you can tell when eating their braided pastries. Also, they have had over 20 years of success in the fundraising market. Once we received our Butter Braid® pastries, I right away put them all in our freezer. 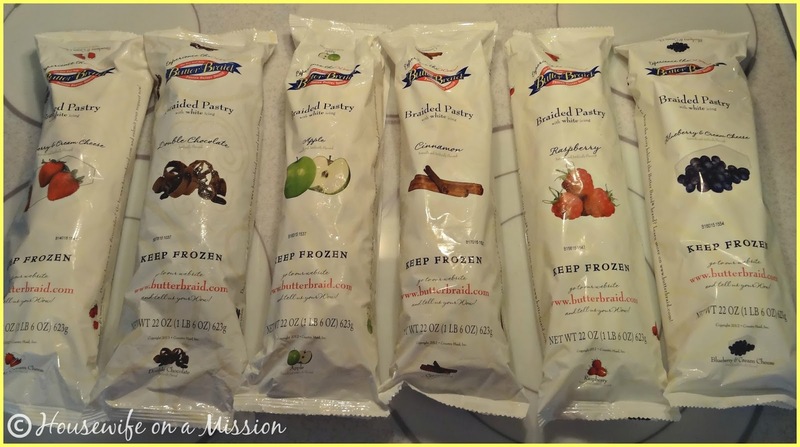 They need to stay frozen until you are ready to let them sit out to thaw and rise. These pastries can be enjoyed as a dessert at night or in the morning for breakfast! Which ever time of the day you decide to bake and eat your pastry, you need to let the pasty sit out and rise for at least 8-12 hours. It may be hard to tell in the pictures, but our pastry more than doubled in size! At 8:00PM, 10 1/2 hours later, we decided we were ready to bake our pastry! Following the baking instructions on the package, we placed our pastry in a pre-heated oven. A short while later our pastry was done baking! It had a gorgeous golden color to it, and boy did it look light, fluffy and flakey! After letting the pastry cool for 10 minutes, I then diagonally sliced the pastry on each side, basically following the lines. After I made the cuts and keeping the pastry in place, I then drizzled the white icing all over on top! The end product is a beautiful artwork of baked-good goodness! Look how pretty! 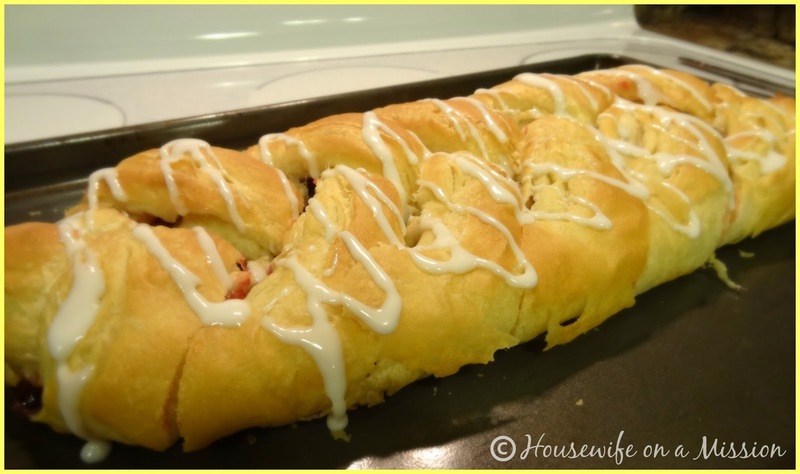 This is perfect to make for when friends come over to visit, or if you are going to a friends house for dinner, you can bring dessert! You'll for sure impress your guests and friends! So how does it taste? OH. MY. GOSH. This pastry is so light and fluffy, you'll find yourself eating more than one piece! 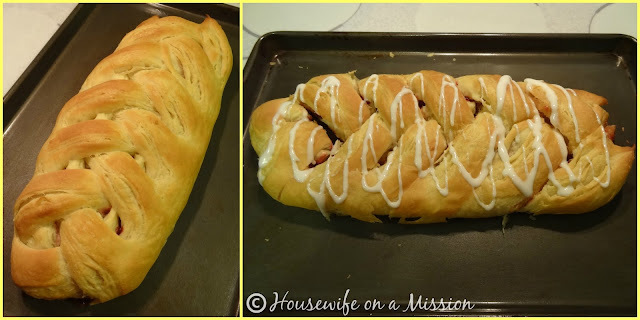 The crust tasted amazing, the raspberry was delicious and the icing on top added the perfect amount of sweetness! Let's just say the pastry didn't last very long because we all devoured it! And then once it was gone I wanted to make another one and try another flavor, ha ha! 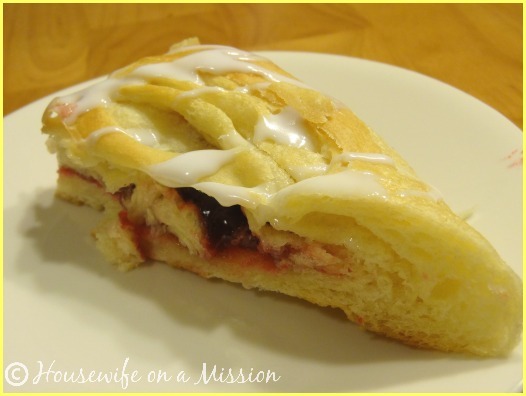 Overall, we think this pastry is mouth watering and finger licking good! It's classy and sophisticated-- if a pastry can be that! If you're looking for a dessert that is simple to make and will impress others, plus make you the "cool kid" at the party, you definitely want to make and bring a Butter Braid® pastry! **Butter Braid® pastries are only available through fundraisers, so continue to support your local schools and community organizations. Find your local dealer here! 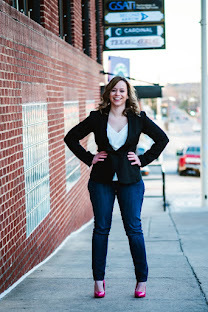 Be sure to stay connected with Butter Braid® Brand on Facebook and Pinterest. 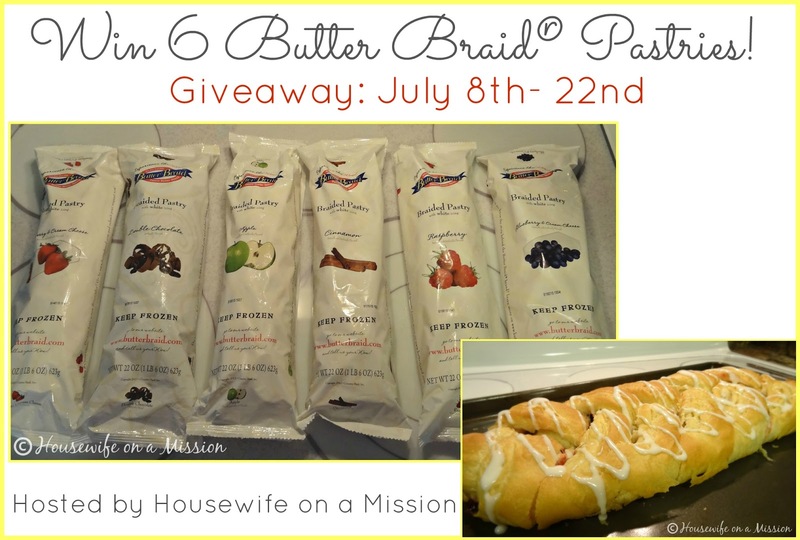 One of our readers are going to win a 6 pack of Butter Braid® pastries like the ones we received! *Disclosure: Housewife on a Mission is not responsible for prize fulfillment or shipment to winner. Winner will be drawn at random then emailed and will have 48 hours to respond to claim their prize. If no response is given, another winner will be chosen. Facebook, Twitter, Pinterest, and any other social media are not affiliated with this giveaway. I would love the strawberry and cream cheese. It sounds yummy. Voted and I would lie to try the Strawberry & Cream Cheese. I'd definitely bake up the Strawberry and Cream Cheese one first. I would try apple or strawberry cream cheese.